WordPress uses an imaging library to make variously-sized versions of a photo to accommodate different view port sizes. But which imaging library is used determines whether metadata is preserved or destroyed. The good news: WordPress, by far the most popular content management system on the web, supports embedded metadata. The bad news: Well, not always. But we can fix that. But what about the photo itself? Will it be served with its embedded metadata intact, or will be it be doomed to wandering the internet without its copyright information or caption? That’s where things get a little tricky. Is available to WordPress, everything is awesome, and your picture will go forth into the world in possession of all the vital information it needs to be relevant for (hopefully) decades to come. Well, all the vital information that was in the metadata when you uploaded it, anyway. Enable ImageMagick and your WordPress site is good to go. Karma will be on your side and you won’t have to worry about being sued for removing Copyright Management Information from images. hosts provide it. Many –or even most – do. But some don’t. And, if ImageMagick is available on your server, you will generally need to enable it in order for WordPress to be able to use it. If ImageMagick isn’t available on your server, WordPress falls back to an imaging library called GD. GD is bundled with PHP, upon which WordPress depends in order to function at all. So GD is a sure thing. It’s guaranteed to be there. When you upload an image to WordPress’s Media Library, it makes copies of your image in various sizes, from Baby Bear little to Poppa Bear big. Four new files are created by default, plus the original, yielding five size choices to fit browser windows on devices ranging from itty bitty phones to great big desktop monitors. There may be more sizes created. You might add more sizes, or plugin software might require more sizes. The biggest instance of your picture is the original file you uploaded. It’s untouched. If it’s the file that is served, say to a visitor with a really big monitor, you’ll serve exactly the same file that you uploaded. So, if you uploaded a file that has proper metadata, that’s what goes out on the internet. If you set clicking on your photos to open the media file (so that a large view of the photo is shown to the visitor – that’s usually expected behavior) then such a click will cause the original file to be served. If someone is, ahem, obtaining your picture, it’s likely that they will grab the largest version, and they’ll get a file with caption and copyright information. So that’s good-ish. 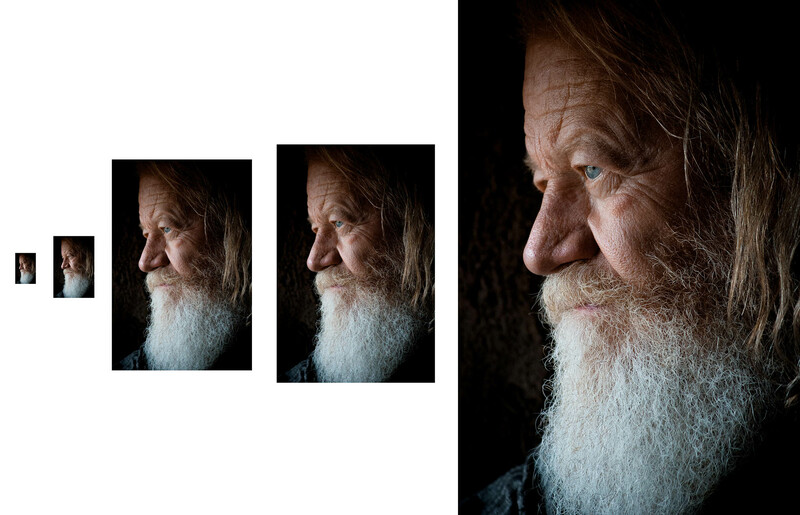 If ImageMagick made the smaller-sized versions of your picture, great. They’ll all have their metadata, too. That’s great. But GD doesn’t do metadata. (It can, a little, but doesn’t by default) If your WordPress installation is relying on GD, you’ll strip metadata from all your images except the biggest, full-sized versions. Naked. Bereft. Raw statistical probability says that at least four out of five times you’ll serve a stripped image. That’s not good. So, by now, the picture is clear. (sorry about the pun) ImageMagick = good. You want it. Now what? Do you use the local/testing server MAMP? Click to See how to enable ImageMagick on MAMP. Obviously, if you are shopping for a new provider, you want your ImageMagick. If you’re staying with your current host, ask and cross your fingers. And enabled. Once you have confirmed that ImageMagick is available, enable it so WordPress to access it. Enabling ImageMagick usually involves un-commenting a line in a PHP configuration file (doing so enables a PHP extension, either IMagick or MagickWand, that talks to ImageMagick, ) and perhaps adding a path statement somewhere. Check with your host’s customer service department. The whole process only takes a minute or two. If your provider has good customer service, the rep will probably enable ImageMagick for you, while you’re still on the phone or chat. Or maybe they’ll provide you with instructions, or have documentation on their support site. Remember to backup any configuration files before you change them! You don’t have to do anything on the WordPress side. WordPress will, all by itself, use ImageMagick henceforth. I called some hosting providers while preparing this post. ImageMagick support wasn’t exactly on the tip of most providers’ tongues, but I got the impression that most good providers do provide the service. You might have to be a little bit persistent, though. There is a catch, though. Liquid Web is developing an in-house image optimization tool. Morris says that tool will be metadata-friendly. But in the interim, they have temporarily provided their customers with an image optimization plugin. That plugin eats metadata. So, for the moment, Liquid Web customers who want to preserve their metadata will need to work around that issue. They can either disable the plugin, and just make sure they’ve prepared their images properly before upload, or they can keep the plugin active and use a workaround for a little while. Or even possibly substitute their own plugin. (I’ve tested some optimization plugins that are metadata-friendly if the underlying server is using ImageMagick. I’ll post some reviews soon.) But remember, it will only be a short while until the proprietary tool is up and running. A Flywheel rep told me that ImageMagick was enabled by default on their servers. 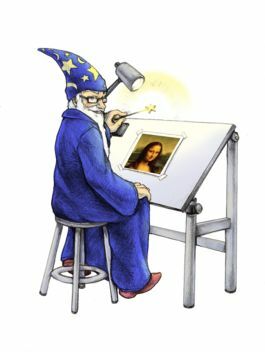 At Bluehost, a rep told me, “Our servers do supply MagickWand [a PHP extension that enables ImageMagick] 100%, but that would be something the customers would have to do themselves.” My call was the first time anyone had asked that particular rep about ImageMagick. But their ImageMagick knowledge base page says it has been viewed 68,000 times. At SiteGround, enabling ImageMagick on my test site only required adding a configuration file to my web root and adding a path statement in my .htaccess file. SiteGround’s spokesman said, “We fully support the ImageMagick extension – with all of our packages. It is not enabled by default. However, our support teams can enable for you in a matter of a few minutes only.” Which is exactly what happened when they did it for me. It wasn’t done quite while I was still on chat, but they came pretty close. But what if ImageMagick just plain isn’t available on your server and, for whatever reason, you don’t want to change hosts? There is a workaround that works OK in many cases. It’s a bit of effort, but it’s not too bad. I’ll explain in next week’s post. That’s it. Enable ImageMagick and your WordPress site is good to go. Karma will be on your side and you won’t have to worry about being sued for removing Copyright Management Information from images. How was your experience when you asked your hosting provider about enabling ImageMagick? Post in the comments and I’ll include your input in an upcoming post that will feature a list of hosts who support ImageMagick. ¹ You’ll notice in Media Library that there’s a field called “Description” underneath the Caption and Alt text fields. That’s confusing because the IPTC “Caption” field is also called the “Description” field. So what’s WordPress’s “Description”? Well, every media object in WordPress has it’s own “Attachment page”. The attachment page displays your image with your header and footer, a headline, caption and a text block. That text block is the “Description” field you see in Media Library. In Media Library, you can see the attachment page by clicking on an image’s permalink. You can link from an image to its attachment page instead of the media file when you place an image into a post or page, if you so desire. It’s kind of cool, but frankly, I’ve yet to find a use for this feature. It might be a nice way to display an infographic, I guess. ² Note that editing a caption in Media Library or on a page does not affect metadata in a photo’s file. WordPress does not write edits into a file’s metadata. This conforms to normal conventions. Best practice assumes that where ever it may go, an image is expected to have the original metadata it was published with. You can probably live your whole life without ever having to worry about this, but it’s always better to know how things work. If something is outrageously wrong on a photo’s caption, correct it before you upload the photo to WordPress. TVCNet.com loves ImageMagick and has so for nearly 20 years. Yes, TVCNet has had ImageMagick preinstalled on all servers since 1997.